The Most Common Ways a Burglar Picks Locks & Breaks into a House During Day or at Night in Racine, WI; Via Unlocked Doors & Windows! If you have ever experienced a burglary, you know how invasive it can feel. This is especially true if it has happened in your home where you should feel safe and secure. The feeling of violation can be a hard thing to overcome. Best Locksmiths is here to talk about the common ways that a burglar gains access into your home, and some preventative measures that can be taken to ensure burglary doesn’t happen to you. The first and foremost thing that you should do to prevent burglary is to lock your door. This may seem like it is common knowledge, but you would be surprised at how many people don’t lock their front door at all times. If you are relying on a common lock to keep out a burglar, think again. Your front door needs to be reinforced with a solid door. The best option is one that has a metal core. You should also reinforce the strike plate and door jamb. If your front door doesn’t have a light installed, that should be a priority as well. This will keep the area well lit, and less likely to be broken into. If you don’t lock your windows at all times when you aren’t looking for ventilation, you should start. They are one of the most common places that a burglar can gain access into your home. They are left vulnerable, because they don’t have locks and the glass is fragile. There isn’t much you can do about the glass, but you can install track locks to add another level of security on your windows. If you have wooden windows, you can drill a hole and use a wooden dowel to add a level of security. Homes have more than one door into them, and that second or third door is the final common access point for burglars. Just like your front door, they should always be locked, and all doors that gain access to the outside should be solid doors. You should upgrade the deadbolt on these doors to a Grade 1 deadbolt, to add a level of security to them. These secondary doors are usually made of cheaper materials and have cheaper locks on them as well. It is worth the time and money to upgrade these doors. Burglars are looking for any way to gain access to your house and any door will do. If you have anything leaning up against your home, or store items underneath windows, this allows burglars a place to climb up your home and more easily gain access to windows that are out of reach. Don’t make breaking into your house an easy task. The hardware on your doors is a high priority when it comes to securing your home. Best Locksmiths can help you reinforce your locks and help you avoid a break in. Call for an appointment today! As a business owner with a commercial space or property you may ask yourself “is my business secure?” You never want to leave your livelihood open to burglars and thieves. It will put you out of business and leave you and your employees without a paycheck especially if you suffer numerous break-ins. So Best Locksmiths have a few questions of our own that may aid in your quest to improve your business’s security. The beauty of the high security restricted key systems is the patented key. You can give your employees a key to your business without fear of them being duplicated or copied. You can only obtain a copy of the key from the original manufacturer of the locking system. Isn’t that great? This enables you to know that you are well protected, and that several unauthorized keys to your place of business are not floating around out there in the wrong hands. You don’t have to issue a key to an employee and later found out they couldn’t be trusted. There have been many occasions where an employee gave a copy of a key to a friend so they could steal department goods, or even a friend of an angry employee getting back at the company. This is why you will want to change your locks often if you are using standard locking systems. Can Your Locks Be Picked? There are many different types of locking systems that don’t always require an open facing lock. You can use combination key pads or the high security restricted key systems that offer patented protection against drilling, or picking. There are a minimum of six hardened steel inserts located in the lock per key side. This helps to protect against drilling into the locking mechanism to compromise the security of the lock. The locking mechanisms are equipped with parametric keyways and specially designed anti-pick mushroom pins. These design features help to prevent the use of lock picking tools. All of these features that are available in today’s market help prevent the former ease of lock picking. If this is a concern, you may to reconsider your current security system. 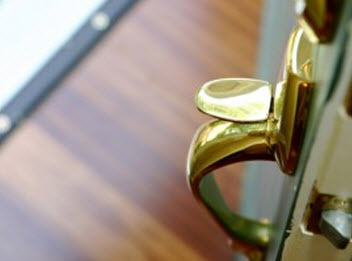 If you are currently feeling that your business security is less than adequate but at a loss of where to start, you may want to consider having a locksmith audit inspection. We will cover your business property and building and will make suggestions on where improvements can be made. We will also give sound advice on current locking systems and point you in the right direction that will fulfill the security needs of your business. You never want to go to sleep and feel that your business isn’t safe. If you continue to ask yourself if your business property is secure and protected, then it is time for an upgrade in your security systems. If you are seeking some peace of mind and want to improve your security, Best Locksmiths is here to assist you. 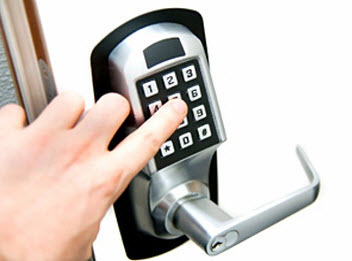 We can provide locksmith inspections and upgrades to any commercial area you may desire. Call us today for a consultation and audit of your locks. When most people call upon the services of a locksmith, it is often in the event of an emergency. Desperate, many people will blindly call the first locksmith they can find without knowing anything about them. A gamble in of itself, where so many handymen will attempt to add locksmith services to their service menu without knowing much about it, or the many scam artists that prey on people in stressful situations, investing in a locksmith is not something you should do in the heat of the moment. Instead of doing your homework before the emergency and having their contact information readily available in the event of an emergency is more ideal. 1. A common misconception in the community is that all the locksmiths in the industry use the same tools and equipment. That is not the case in specific terms. Where locksmiths may use similar equipment and various tools commonly seen among the pros, the truth is they vary. Just as you can buy the high-end product at the store, or select the same item but maybe downgraded to save a few bucks, the same can be said among the tradesmen. In the locksmith industry, you get what you pay for; look for locksmith companies like Best Locksmiths that use higher quality tools and equipment to better serve you. 2. Not all locksmiths offer the same services. Think of fast food chains. One burger joint offers a selection similar to their competitors but are not alike and some offer menu items not available elsewhere. Some locksmiths make guarantees in satisfaction or specialize in unique services. In any case, know what your locksmith has to offer beforehand. 3. Locksmith professional credentials vary from state to state. Anyone can call themselves a locksmith, but really, finding a reliable locksmith can prove difficult. When doing your homework, your locksmith should be able to produce some proof as to their training. If your state requires licensing, it is an acceptable practice to request their licensing information so you can verify their authenticity. 4. Know the policies of the locksmith. People think just because they hired a professional that their work and products are guaranteed and have warranties. In many states, the locksmith industry is not mandated, and locksmiths, particularly the scam artists, can theoretically have you pay for services and products, and if you have an issue relating one or the other, they can charge you again for additional services and products. When finding your locksmith, ask about satisfaction guarantees and warranties on products. A reputable company wants their customers happy for returned business. 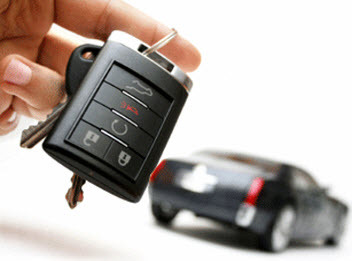 If you are looking for a reputable, upstanding locksmith, Best Locksmiths is on your side. We are committed to bringing our customers a maximum quality experience. From customer service, to execution on services to providing premium products and helping you feel safe, we have these attributes in stars. Our locksmiths are put through a vigorous background check, uphold our moral values and work ethics, practice good customer service, and use the best equipment, tools, and products available to make our customers happy. Call us today to answer any of your questions and give us the opportunity to serve you! When you are choosing doors for your home, you may find that there are several options as far as locks go. The locks that you choose for your doors, especially your front door, are a decision you don’t want to take lightly. We are talking about the security of your loved ones living in the home with you, after all. Best Locksmiths would like to talk about the different types of locks you will find on the market today for the doors in your home. You would never want this to be the only lock found on your front door, since this lock provides the least amount of protection. Door handle locks are a great option for any doors on the interior of your home, such as bathrooms and bedrooms. There is usually a button or knob that is turned to lock the door, and it is easy to break. If you have a door handle lock on your front door, you will want to couple it with another, more secure lock as well. Deadbolt locks are commonly coupled with door handle locks to add an extra level of security to a door. They consist of a metal cylinder that slides through a hole in the door jamb to secure the door. There are several different types of deadbolts including, single & double deadbolts, jimmy proof deadbolts, and captive deadbolts. They all have varying degrees of security, depending on how secure you want the door when it is locked. When using a high quality deadbolt and solid door jamb that is installed correctly, deadbolt locks are a great option for your front door, and this lock is usually unlocked with a key from the outside. Keyless locks are even more secure than a normal deadbolt lock. The locking mechanism works by entering a code into a number pad to unlock the deadbolt. Keyless locks do not use a key at all to unlock them, but a code instead. Electric locks use an electronic mechanism to lock and unlock the door. These locks can usually be unlocked with a key or keypad as well. You will find keyless and electronic locks on many commercial buildings, where a higher level of security is needed to keep the building and merchandise safe. Keeping your home safe from home invaders is important and you should look into all the different types of locks available to you. Whether you are just looking for simpler locks for the interior doors of your home, or are looking for a high security lock to keep the doors of your business locked and your business safe, there is a lock for every function you may need. Best Locksmiths can install, replace or repair any locks used on your home. Don’t wait, call today and we can help you with any of your residential, commercial, or even emergency locksmith needs.